Every parent comes to that time in their lives when the house is filled with the sound of little feet… and they are not your kid’s. Whether it is parties, playdates or sleepovers it seems that there is never ending need for more space for the kids. This is where the Kansas Double Sleeper comes in. Not only is it a great way to create instant sleeping space for when the kids’ friends stay over, but it is also a great for visiting friends and family without the need to have a spare bedroom as well as ever popular in student digs. But the Kansas Double Sleeper is not just for the kid’s room. It is also a great way to have emergency sleeping space for visiting friends and family, or for that one friend who always has a few too many glasses of wine at dinner and needs to stay over. Pulling out the sleeper couch is easier than calling a taxi and it gives you a chance to make the most of his hangover in the morning by starting the vacuuming at 6am or letting the dogs in and letting them jump all over him. The Kansas’ space saving attribute is also what makes it so popular with students in their digs. Filling a similar need to that of the futon, sleeper couches allow university students to make the most of their small rooms where once again you’ll probably find them lying on it all day playing Minecraft instead of studying. Somethings never change. Both the Kansas Double Sleeper and the Kansas Single Sleeper are made locally in South Africa from high quality materials ensuring that you, your kids and your guests have years of comfortable use from them. The denim option is recommended for anyone looking to use this in the kids’ room as it a little easier to clean. 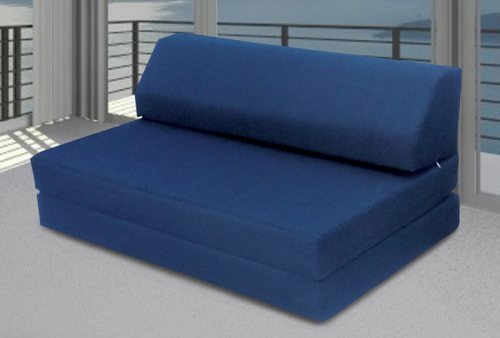 If you are looking to make the most of your available space or are simply looking for a spare bed that doesn’t take up as much space, take a look at the Kansas Range or other sleeper couches here.